This book was recommended to me firstly because of the plot and secondly to cover Haiti in a challenge. I'll start with the Haitian aspects. Only having read Edwidge Danticat so far, my experiences with Haitian literature is rather slim. 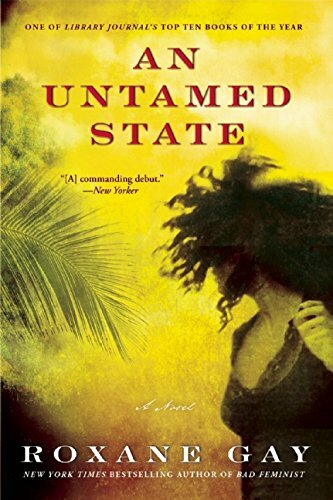 I had however expected a little glimpse into Haitian life and culture within Gay's novel. And to some extend I got what I had hoped. Still the descriptions focused on the lifestyle of the protagonist's family more than on life in general. Scarce were the depictions of everyday life of ordinary Haitian people. The main character related her Haitian life and her life in America in flashbacks and memories for the first half of the book. The story centered around her ordeal rather than her being torn between two cultures. Her tormentors' lives were very rarely commented on, their past, upbringing or experiences almost non existent. I simply expected a bit more flavour. The story itself was interesting, although some pages in the second half did not capture me as much as the first. How Gay dealt with the aftermath seemed a bit thin and the whole second part focused on a character that - while certainly being relatable during much of the plot - wasn't overly likeable for me as a whole. She was complicated and egocentric even before the kidnapping. Her husband seemed only useful as canvas to present and play her brand of crazy on. All this running away to be found drama before the kidnapping seemed childish and did not fit later actions of the protagonist in my opinion. I enjoy complicated and complex characters - but complicated and complex are not the same as difficult and bitchy. The last scene behind the restaurant seemed utterly redundant. The rest of the characters did not come to life much. While the plot was gripping, I couldn't relate to most of the characters and felt the parts about Haiti lacking, especially when it came to everyday life. Thank you for this book! Looks very interesting! I agree with Andrasthe at most parts, except I found the second part i.e. the aftermath more interesting and less predictable than the first part. The characters other than the protagonist were a bit one-dimensional and caricaturist. Overall the story was gripping and I found the book hard to put down, thanks for sharing. Sending to the unusual countries sweepstakes winner! Enjoy! I can't believe I'm the winner! An a book from Haiti, brilliant. I really look forward to this one.